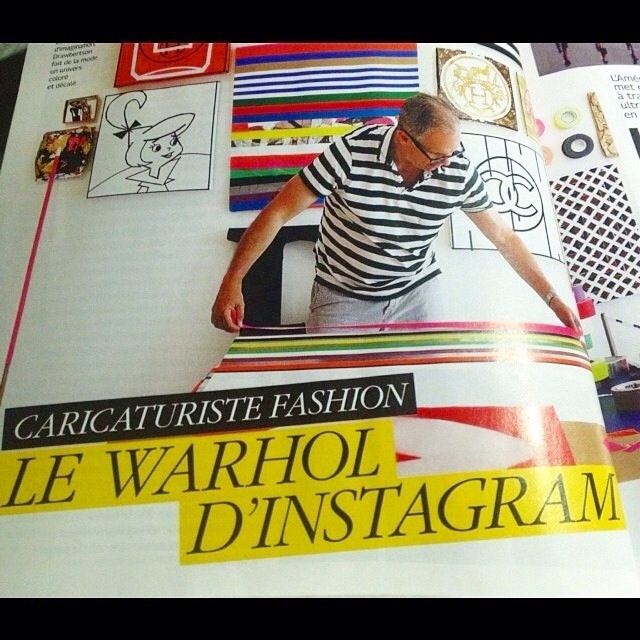 Having following Donald (@donalddrawbertson) for a long time, we recently discovered that he is actually a Creative Director, previously head at Bobbi Brown Cosmetics and now also involved in Smashbox. He also worked with the original founders at MAC – which probably explains why we are such fans of his aesthetic and his “tongue and chic” compositions of Anna Wintour and Pharrell. He was apparently responsible for helping to launch VivaGlam, which is still going strong with over $300m raised since going to fight Aids since it launched. 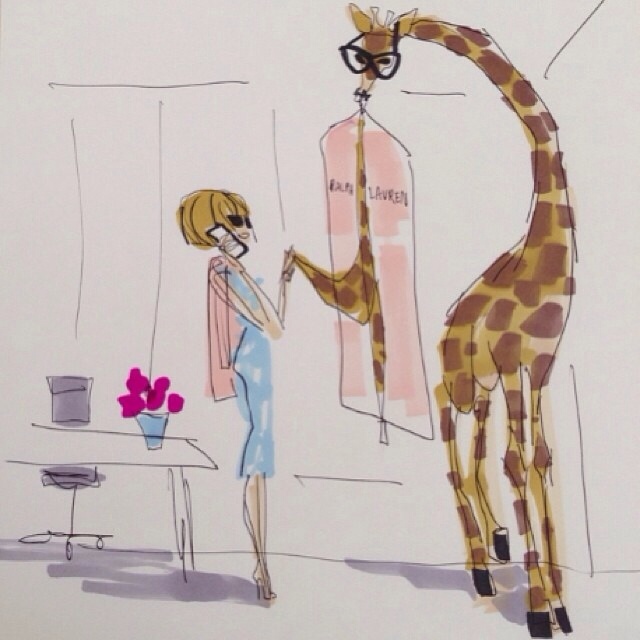 He has started to really gain some traction, with the New York Post recently calling him “the suburban dad’s Andy Warhol” and Lupita Nyong’o regramming his painting of her in all her many colourful dresses to wish her luck at the Oscars. 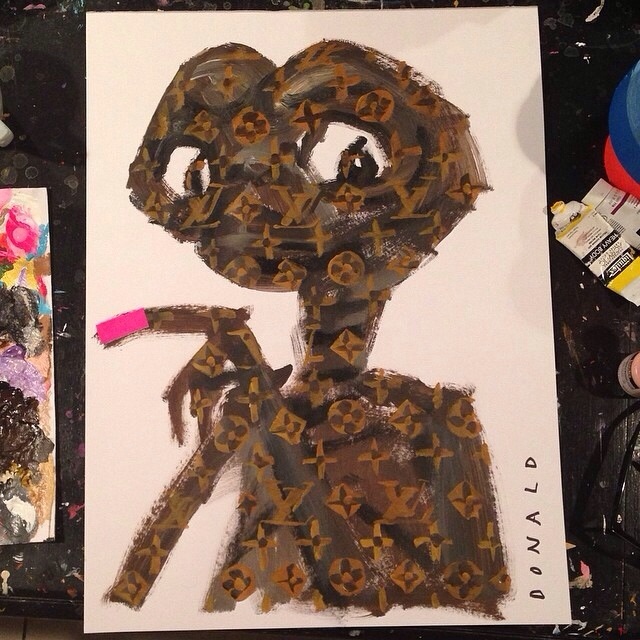 Drawbertson has also created whimsical versions of Kim and Kanye’s Vogue cover, and my favourite recent piece of ET covered in the Louis V monogram. Tongue in Chic for sure. 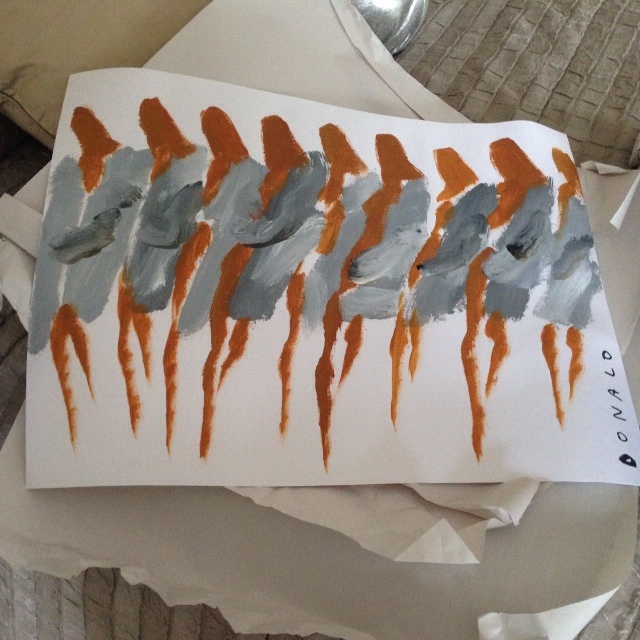 I’ve picked a few of my favourite pieces from the last couple of weeks and a sneak pic of my own one. 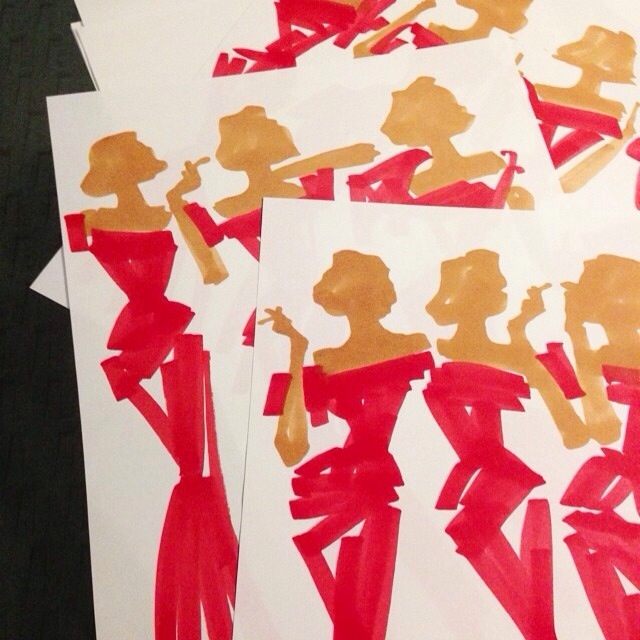 Drawbertson recently started to sell his work on Trendabl which is how I got mine – but you have to catch the good pieces quite quickly! For those who don’t want to make the investment but just want to enjoy his work for free make sure you follow him on Insta – we love him.